This blog post is sponsored by our partner Klarna. The content is inspired by the “pay later in 4 installments” technology that they offer retailers. While this is a sponsored post, I would never share anything with you that I don’t believe to be a truly helpful resource. Promise. One of the most common things I hear from emerging designers is a frustration with a lack of sales on their website. Why aren’t more sales happening? Well, assuming you have a strong and thoughtful marketing plan, the issue has to do with converting these website visitors into actual customers. Browsing without buying and abandoning cart are behaviors you’ll to work to change. When it comes to increasing your online sales conversions, you need to create a shopping experience that will make your community feel delighted and cared for. Easier said than done? Maybe. But there are some key experiences that you can implement in order to help make those sales, see real traction, and grow your fashion business. 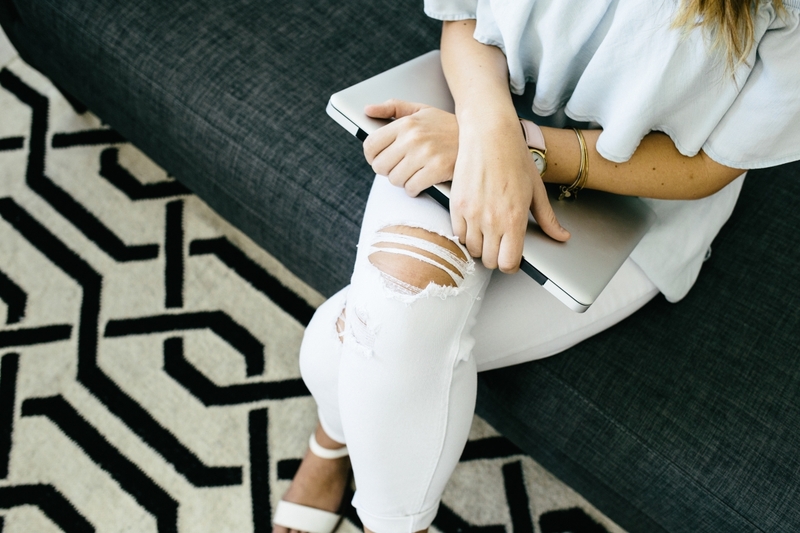 Here are 4 Ways to Increase Online Sales Conversions in Your Fashion Business. This is nothing new, but it’s still not widely used on the websites of many emerging brands. I get it. It can be a costly addition to your website. But if you’re committed to making eCommerce one of your core streams of revenue (and honestly, who isn’t at this point? ), then you need to budget for things like video that will really help sell your styles. When your booking your next photo shoot, ask for the quote to include a 10 second video of a model (in front of a white backdrop) wearing each style and doing a quick turn to show it off. Nothing makes a person abandon cart like a shipping charge. Work free shipping (and dare I even suggest priority shipping) into your business model and it will make a world of difference on your conversions. Review your costing sheet and work the cost of shipping into the cost of the product. Adding live chat to your website can make a difference to your conversions because of the improved customer service experience. In the moment of shopping, they have questions. Be there to answer those questions. Your live chat doesn’t have to be open all the time, of course. Use your Google Analytics to learn when your peak traffic is happening and make it available then. This is a major one. Removing roadblocks and eliminating buyers remorse in the purchasing process will increase your sales conversions and reduce your returns. In the past, that’s meant limiting the number of steps in a checkout and answering every possible anticipated question about the product on the sales page. But, honestly, those things are a given at this point. Now it’s time to find more advanced ways of making the purchasing process faster, easier, and more flexible for your customers. A great way to do that is to address anything that will cause the buyer to pause before clicking the “buy” button or regret hitting it at all. You can do this by offering a a variety of payment options. Essentially, buying now and paying later. Though I’ve heard about the buy now and pay later option for retailers, it was a recent conversation I had with the team at Klarna, a company that offers a checkout solution to retailers who would like to give their customers the option to with pay later in 4 installments or pay in 30 days, that really clarified things for me. 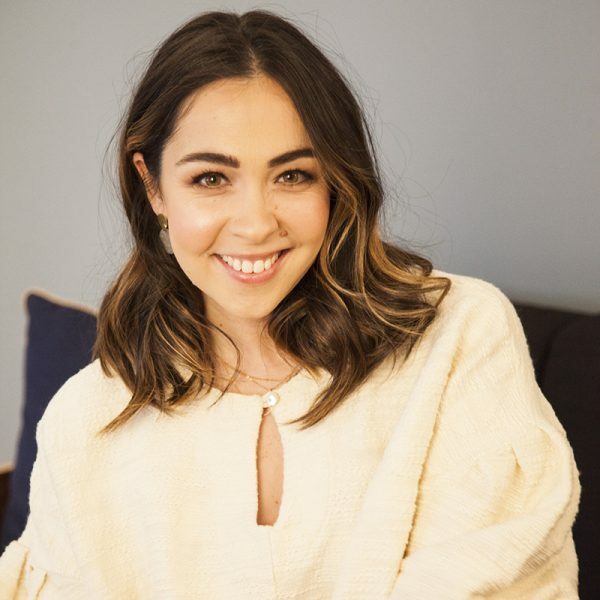 During that chat I learned more about how it works, and I’m convinced that their product is a game-changer for emerging and independent brands that want to offer the same sophisticated shopping experience to their customer as the big retailers do. Klarna has been around since 2005, they are available in 14 countries, and they have 60 million shoppers using their technology globally. In an interview with WWD, the company’s CEO said that Klarna’s payment options are proven to boost purchase frequency by 20 percent or more. Pretty sweet. More Consumers: 26 million consumers globally have made a purchase using Klarna in 2018 alone. More Merchants Over 100K merchants work with Klarna globally, with over 80K in the fashion industry. More Unique Payment Options: They offer three options that fit every consumer need – pay later in 4 equal installments, in full within 30 days, or flexible financing. In-line user experience: shoppers are always kept in your store experience. Return Purchases: They have a customer recognition technology built into their solution that enables one-click purchases from returning Klarna users. Here’s what I love about what they’re doing to serve you, the next generation of fashion businesses. You get paid in full, upfront. It’s Klarna that assumes the risk, not you. As soon as the customer makes a purchase, you receive the full payment. Payments are interest-free. You’re customers will be thrilled to know they can pay later, interest free! Emerging brands can afford it. This is not out-of-reach technology for emerging brands. The fees are totally doable. Customers are not diverted to another website. I know I already mentioned this above but I think it’s worth repeating. The customer never leaves your website so your brand experience is never compromised. You’re able to offer your customers flexibility. Flexibility is something that most (if not all) people value. When you become a brand that is associated with flexibility in the minds of your customers, you are securing your place as their “go-to”. Helping the little guys compete. I love that this technology helps emerging brands to communicate a professionalism and sophistication about their brand and business. When you’re in the first few years of a business, bells and whistles are not usually something that can be implemented. In this case, they are. Helping ethical brands compete. Not only does an offering like pay now in 4 installments help emerging brands, but it also has a big impact on the conversions for ethical, slow fashion brands that often have higher price tags due to things like domestic production, sustainable fabrics and materials, and slow design techniques. Available on almost every e-commerce platform. Including all the popular ones like WooCommerce, Shopify, Magento, and BigCommerce. Here’s the thing, in a market that is saturated with options as well as with 60% of consumers abandoning carts while shopping online (according to Klarna’s case research), brands needs to listen to the needs of their customers and find ways to better serve them. By implementing all four of these ideas — video, free shipping, live chat, and payment options, you will certainly see a massive increase in the number of website visitors who become loyal customers. StartUp FASHION Members: no transaction fees for the first three months on their Pay Later in Installments product! Login in to the Dashboard for details on how to snag this awesome offer! Not a member of StartUp FASHION? 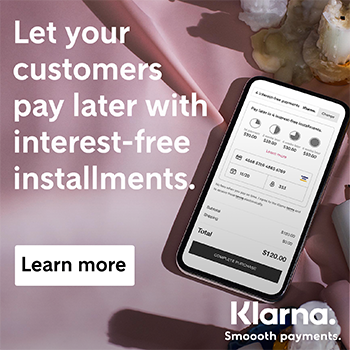 Klarna is offering you a reduced fee of 1.99% and $.30 per transaction! All you have to do is mention that you were referred to Klarna from StartUp FASHION in the comments section of their contact form when you submit your details. And also during any conversation you have with their sales team. CLICK HERE TO LEARN MORE ABOUT HOW TO GROW YOUR BUSINESS WITH KLARNA.